Dr. Kuno began her keynote address discussing her youth in a small town in Yamaguchi Prefecture, raised by parents who always encouraged her education. In addition to her pharmaceutical start-ups, Dr. Kuno has also founded start-up incubators to encourage risk-taking and innovation, and spoke about the importance of supporting female entrepreneurs. She closed by encouraging attendees to act boldly and create and support businesses that not only consider profits, but also social impact. Following her talk, the alumni were eager to ask questions. Dr. Kuno encouraged Minoru Kanada Anderson, a Building the TOMODACHI Generation: Morgan Stanley Ambassadors Program (BTG) alumnus, to seek out those with different backgrounds after he inquired about best practices in finding business partners. Fatoumata Bah, a current participant of the TOMODACHI Internship Program, asked for advice as a young woman interested in social entrepreneurship. Dr. Kuno encouraged her to remain confident in her own abilities, but also not to fear asking for help from others. After the speech, another BTG alumna, Ryoko Shibata, commented, “It is rare to see a successful female entrepreneur in Japan, so it was a wonderful opportunity to hear how Dr. Kuno’s career developed.” Ryota Konno, alumnus of the TOMODACHI Summer Coca-Cola Educational Homestay Program, also found Dr. Kuno’s speech inspiring, noting it helped him realize he that while he has confidence in himself, he needs to take bigger risks in order to find success. 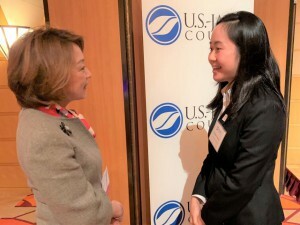 In addition to hearing Dr. Kuno’s thought-provoking speech, the alumni appreciated the opportunity to network with USJC leadership and business leaders with experience in Japan and the United States. 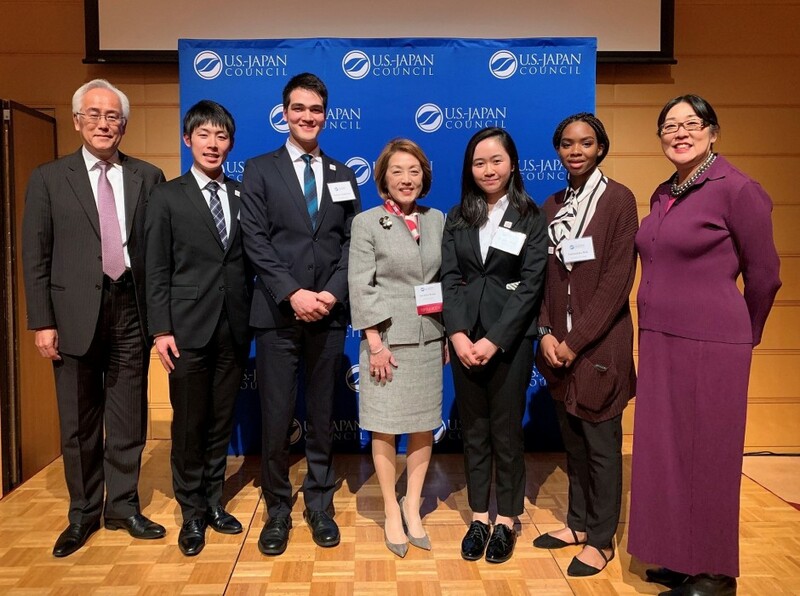 This was the sixth time TOMODACHI alumni were invited to this exclusive meeting as representatives of the next generation of leaders in U.S.-Japan relations.